If you’ve been keeping up with the legal discourse around cannabis in the country, you’ll know that there’s a wide range of positions that politicians have taken on the subject and a wide range of acceptances state-by-state. In the effort to get marijuana legalized, it’s important to know the stances of the politicians in your state, so that you can show your support to the pro-marijuana politicians. Here are some of the pro marijuana politicians that have lead reform in their own states, or at the Federal level, who are still fighting to increase the freedoms they’ve gained for cannabis thus far. This New Jersey senator is currently one of the cannabis reform powerhouses. He introduced a bill to the house for the “Marijuana Justice Act,” and he’s gaining a lot of support amongst like-minded Democrats. The bill would take marijuana off the controlled substances list, which would then leave it up to states to legalize. The bill also carries a penalty for states that continue to criminalize the substance, along with consequences for uneven minority punishment from that criminalization, which would result in a withholding of federal funding. Additionally, the bill aims to create a fund that would support lower-income minority communities that have been directly affected by punishments from marijuana criminalization. The argument that marijuana policies are made to directly oppress minorities and lower-income communities is an important piece of the discourse on why marijuana should be legal, and this idea has been a major force in getting Democrats on board. Call your state representatives and tell them how much you support Cory Booker’s bill, and explain that you want to see your representatives get behind it, too. 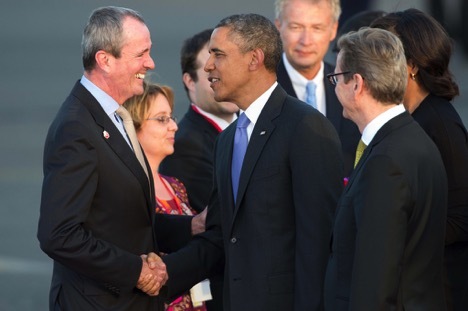 If you’re in New Jersey, then it’s already clear that you’ve got politicians fighting the good fight – first Cory Booker, and now, the new governor, Phil Murphy. Murphy’s first budget proposal included 60 million dollars in revenue from legal recreational marijuana. He has been very public about his feelings on this subject and has said that he wants to get marijuana legalized in the state by the end of the year. The state Senate is a bit at odds though. It seems there are a lot of politicians who don’t agree with the idea of a bill for legalization. On the other hand, there are those like Senate president, Stephen Sweeney, who responded to the idea with a standing ovation. Make sure you call your local representatives and tell them that you want this bill to pass through, in order to get the full support necessary for action. If you were “feeling the Bern” during the 2016 election, then you’re probably aware that the senator was very much in favor of cannabis legalization. You can still check his website and his stances clearly: he fully believes in medicinal properties of marijuana and wants them to be utilized; he believes that we should be legalizing recreational marijuana Federally, so that states can legalize it; he openly says that the “War on Drugs” has failed and thinks all non-violent offenders do not deserve incarceration. Bernie has also shown his full support of Cory Booker’s federal move to legalize marijuana, joining many other pro-marijuana politicians who need your continued support in getting their colleagues on board. These two senators, from Colorado and Massachusetts, respectively, have released a bipartisan bill that would stop the Federal government from meddling in states’ rights to legalize marijuana. This comes after Jeff Sessions said he would enforce Federal policies if states have legalized it. 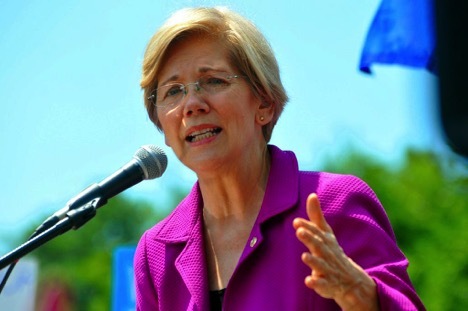 On her own, Warren has said that she believes legalizing cannabis would be helpful for the country at large, and Warren has been a big help in the fight to legalize cannabis in her own state of Massachusetts. Gardner, on the other hand, wasn’t originally one of the best politicians for this list. He actually opposed legalization, in the beginning. However, since the beginning of this year, the Republican politician has been growing in his vocal support of marijuana legalization, breaking from the party line. For that, Gardner has earned himself a chance to be one of the more important cannabis politicians of the time. If you’re not sure what the exact laws are in your state, use our comprehensive guide, so you can figure out how far along your state is in the fight. No matter how far your state has come, you can always show support for pro marijuana politicians, to keep pushing for better policies in your area and nationally. Don’t forget to also search for a NORML chapter in your area that you can support, to continue reform efforts.